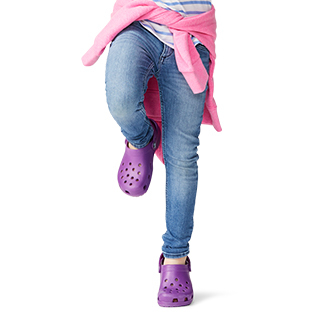 Refreshed for a new season with fun new graphic options, including all-over camo, flowers, and palm trees, these Bayaband Clogs for kids take the fashion-athletic spirit of the originals to another level. 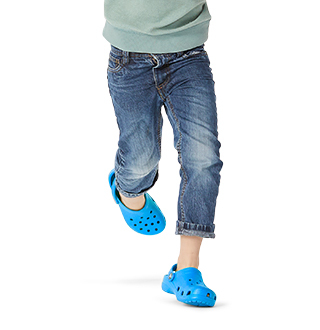 The result is a go-anywhere staple that lets the little ones slide in and stay cool while throwing off an extra pop of Crocs spirit. 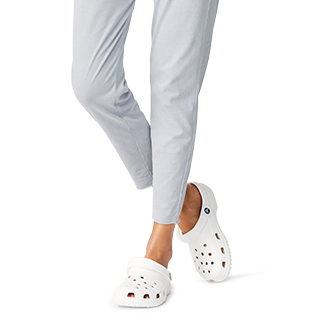 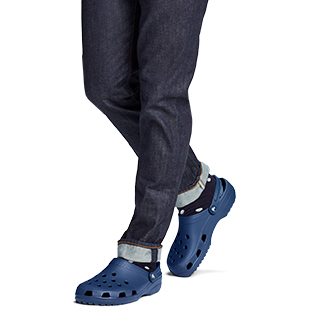 And of course, the molded Croslite™ construction means they'll stay comfortable at play.